Babies and toddlers are messy eaters and that's that! At Not Another Baby Shop we have sourced a great range of baby bibs and toddler bibs for all sorts of occasions. 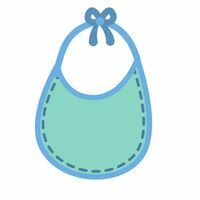 We have standard bibs, long sleeve bibs, kerchief bibs, bandana bibs, dribble bibs, pocket bibs, aprons, special occasion bibs and even clips that you can turn anything into a bib. Our brands include Love Henry Bibs Zebi Baby, Mud Pie, Danica Studios and Bibska Bibs. We also have a range of baby bibs that make funky and unique baby gifts.